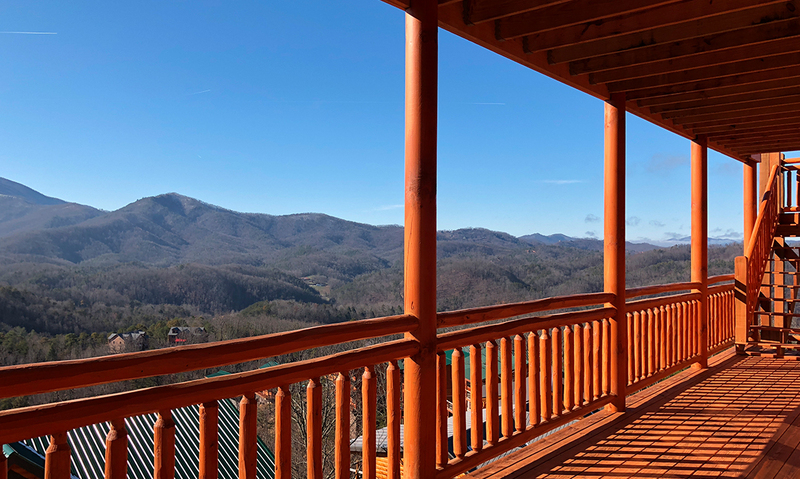 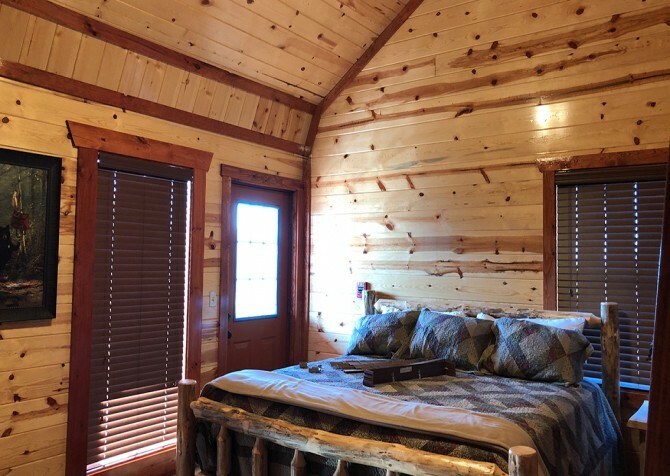 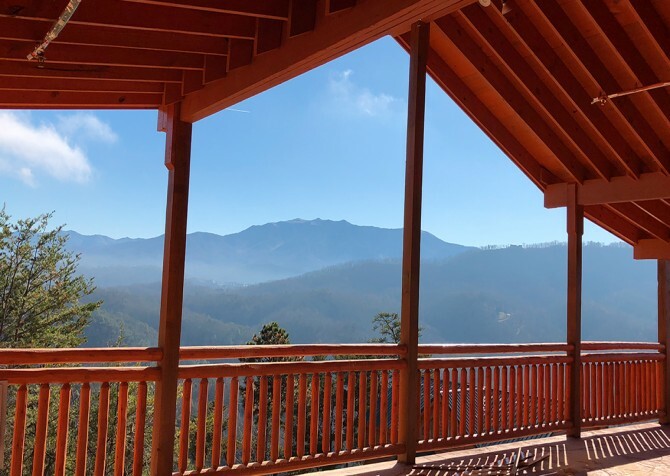 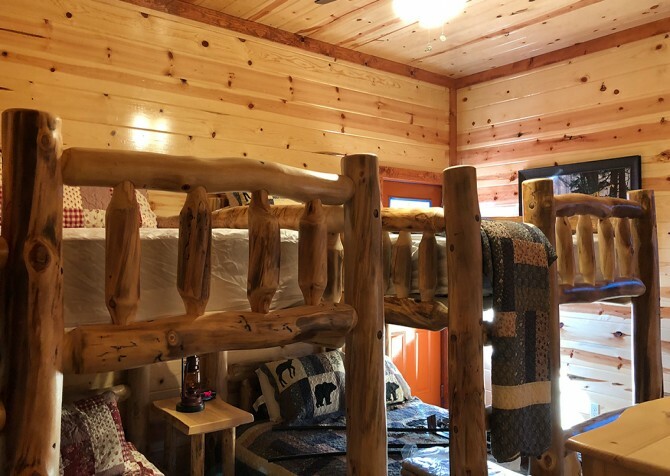 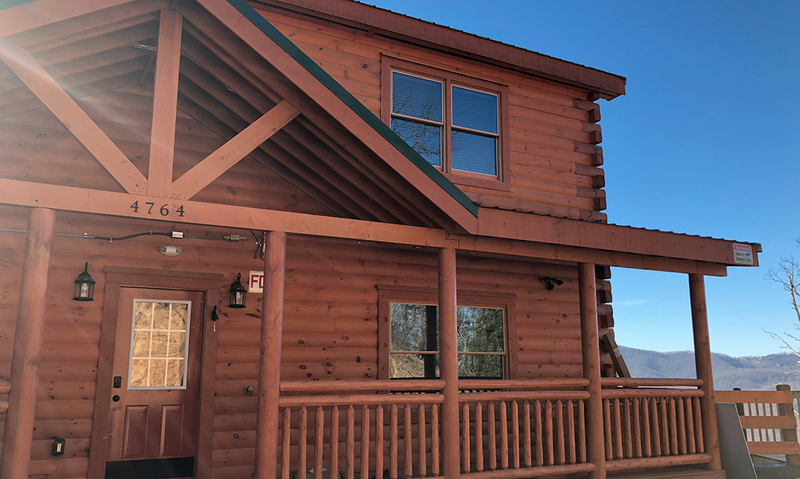 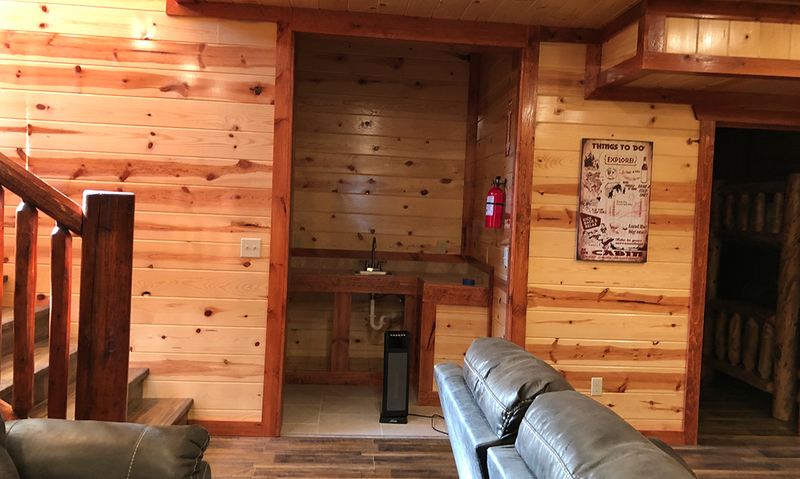 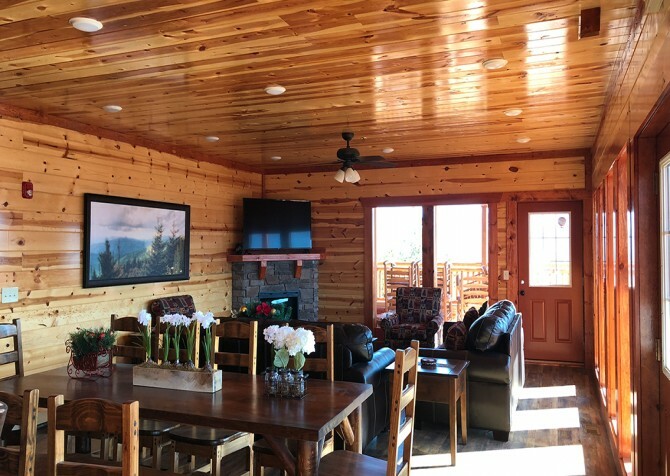 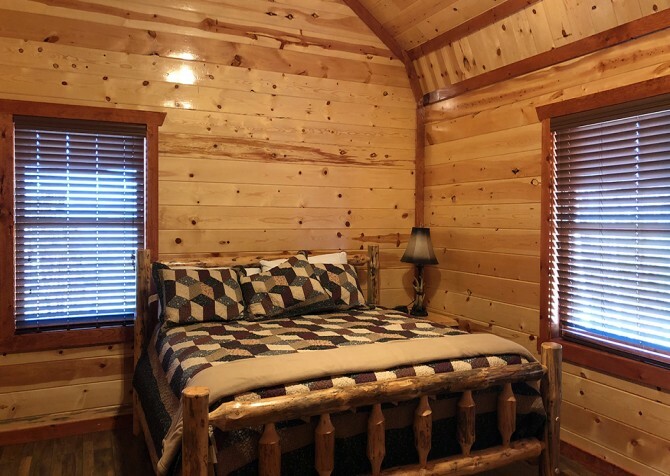 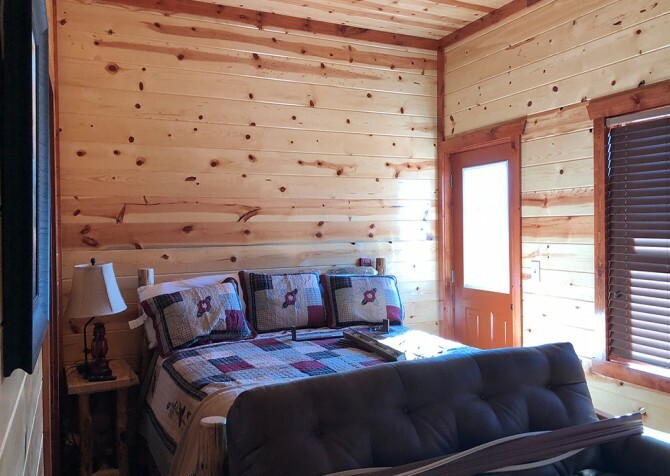 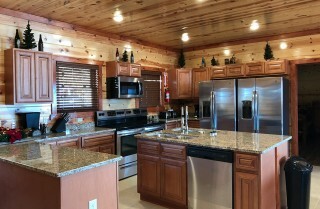 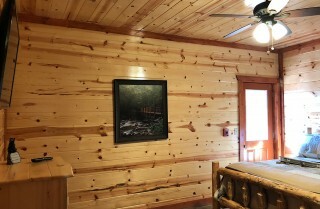 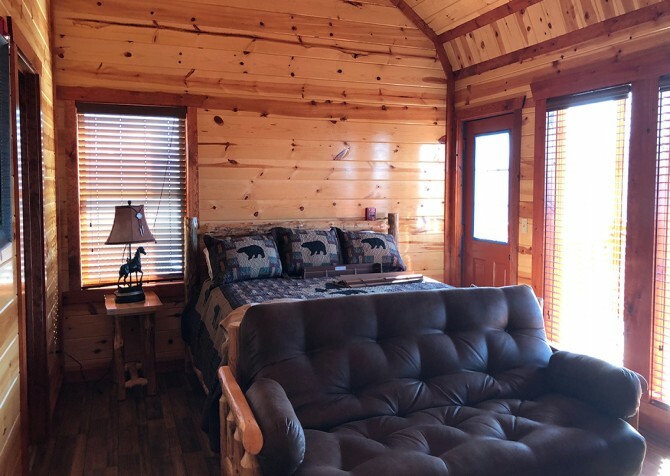 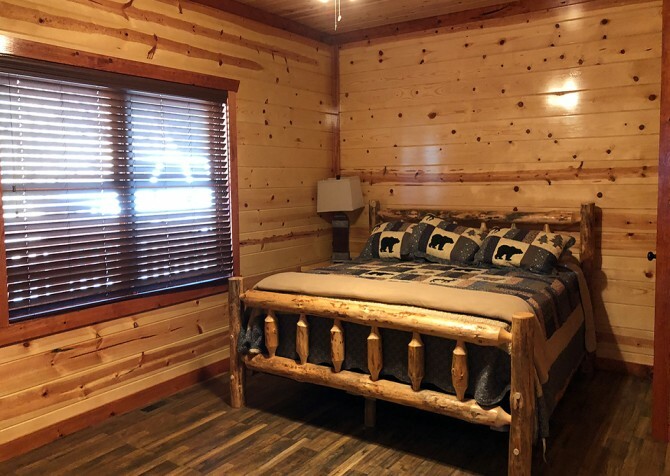 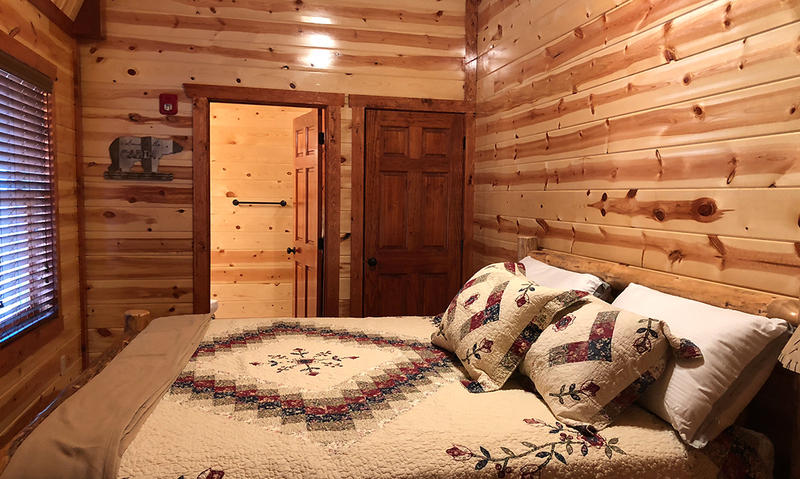 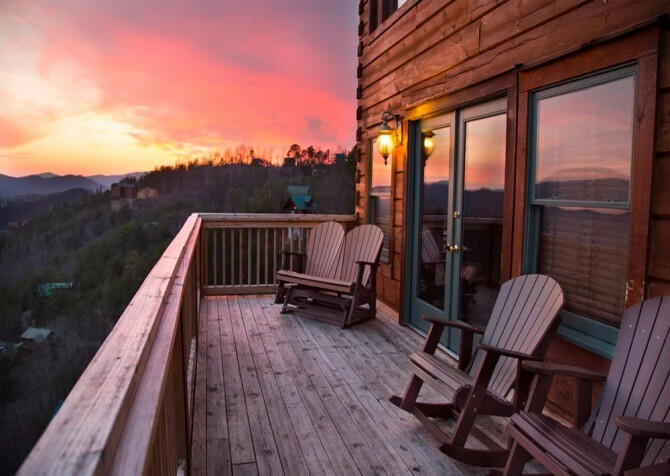 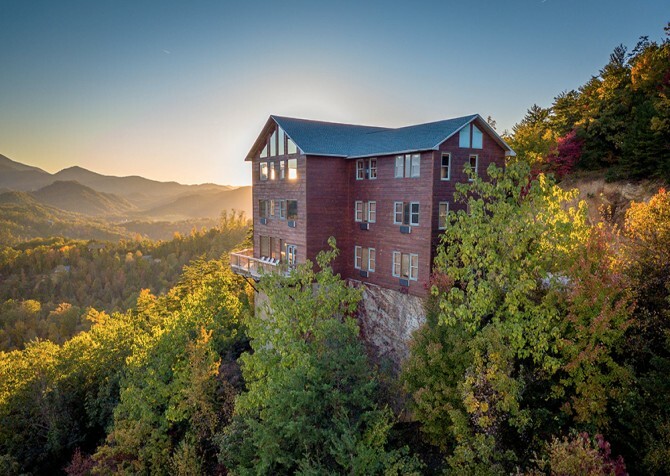 Stunning views of the Great Smoky Mountains await at Mountain Top Retreat, a new construction log cabin in Sherwood Forest of Pigeon Forge, TN. 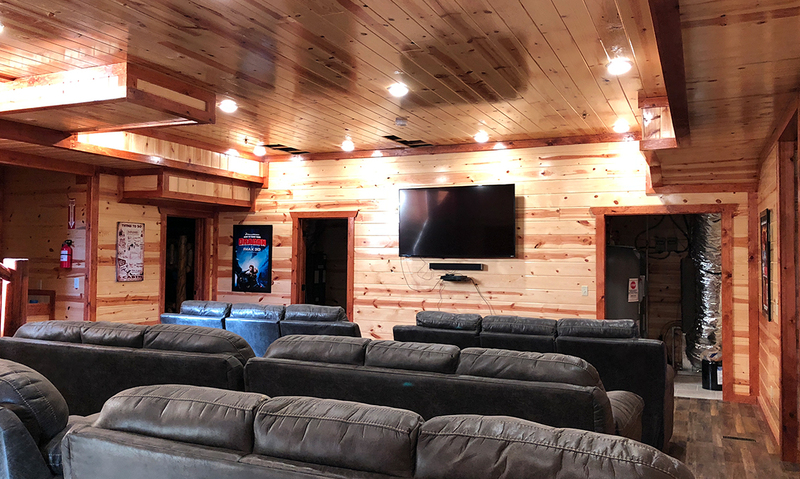 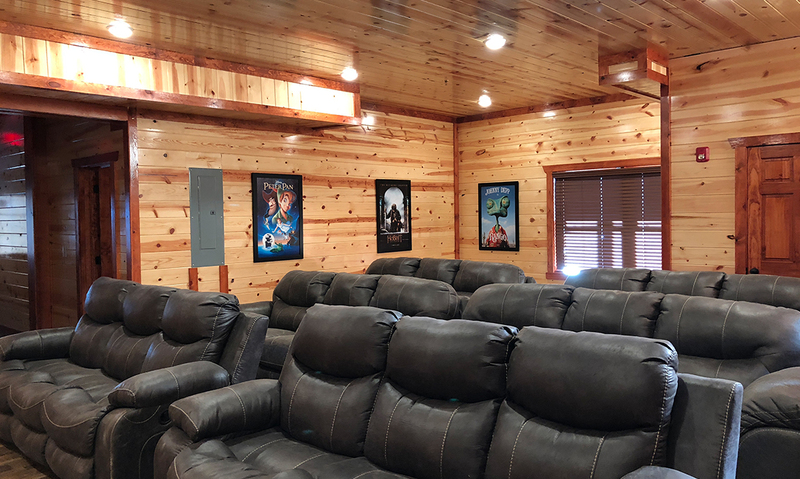 The sprawling 12-bedroom, 12-bathroom cabin will have space for up to 46 guests – perfect for retreats, reunions, special occasions, and big family vacations! 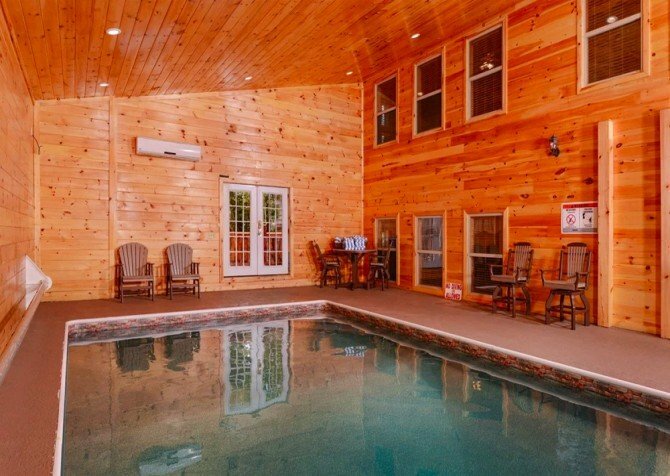 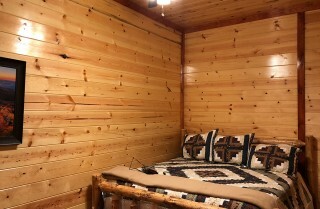 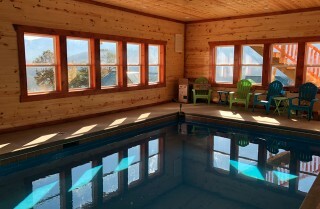 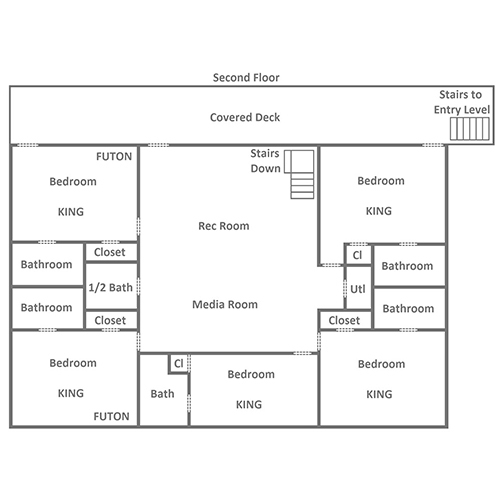 And along with the community pools offered here, this impressive lodge is packed with amenities and conveniences. 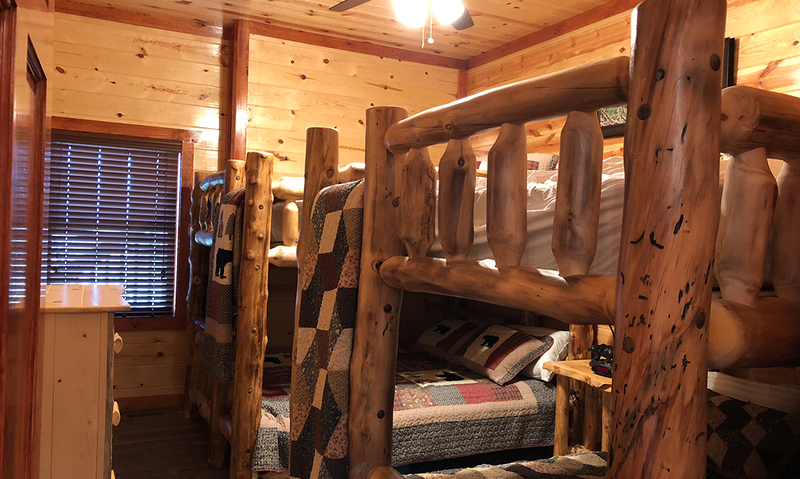 Across the bedrooms, a mix of king-size beds, queen bunks, sleepers, and futons provide plenty of space for both kids and adults. 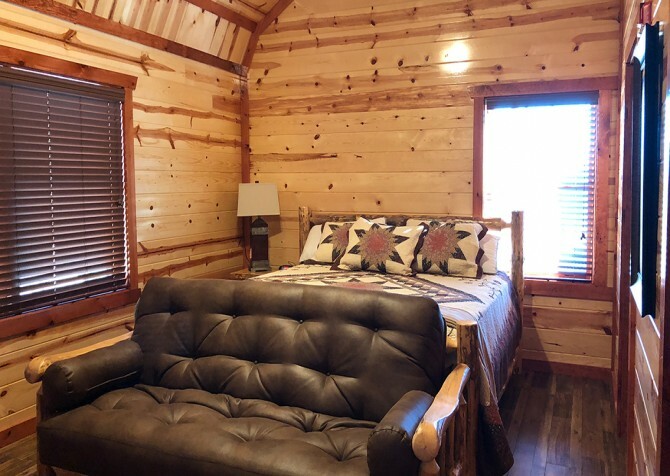 Conveniences like high-speed wireless internet, a DVD player and VCR, TVs in the bedrooms, a fully equipped kitchen, a washer/dryer, and a charcoal grill on the deck make stays easier and more comfortable. Of course, traveling with a group means keeping a group entertained. No worries! 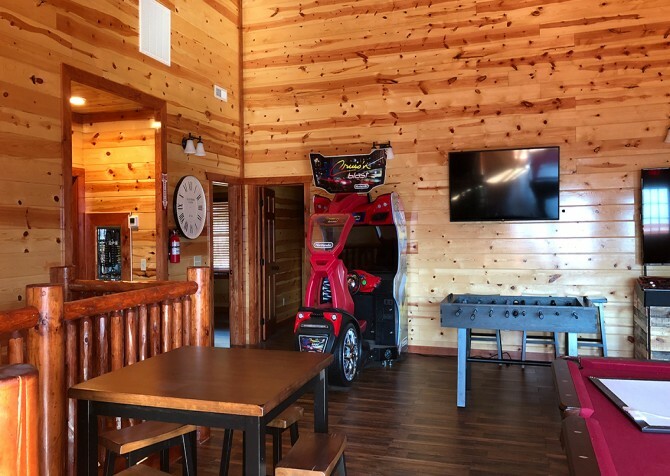 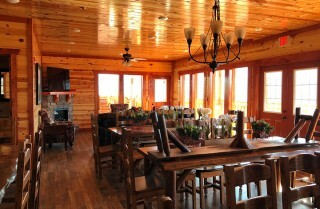 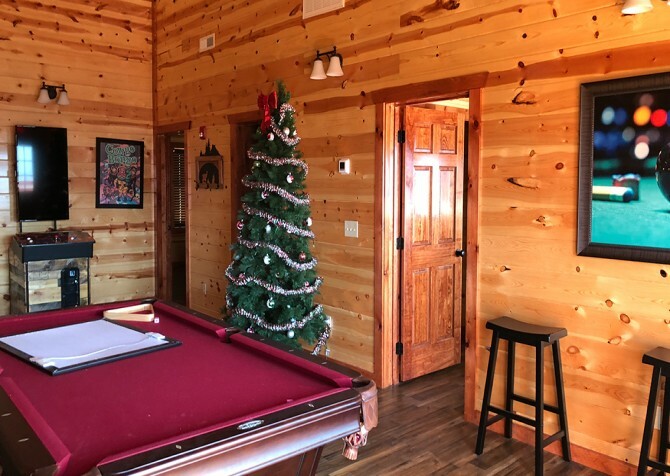 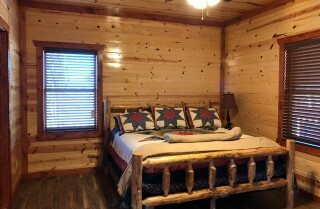 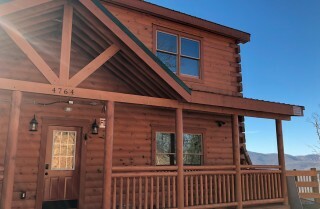 Mountain Top Retreat boasts pool and foosball tables, air hockey, rocking chairs on the deck, and a big screen TV! 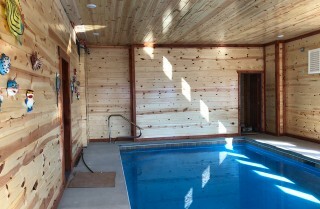 And all that’s on top of the private indoor pool that offers year-round swimming, no matter the weather. 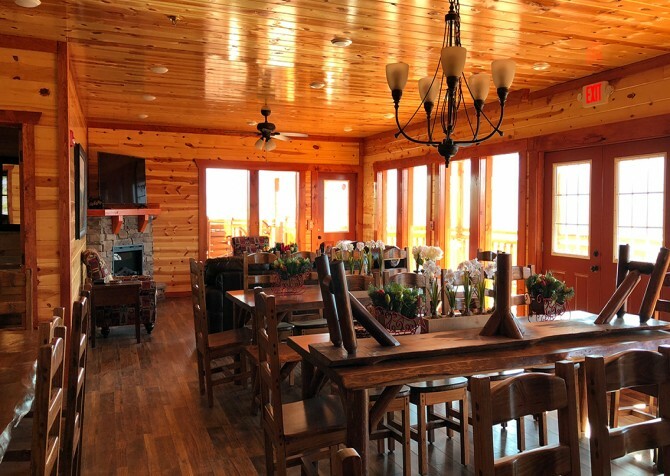 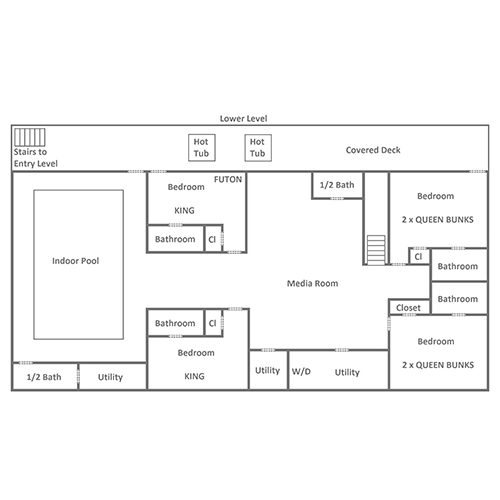 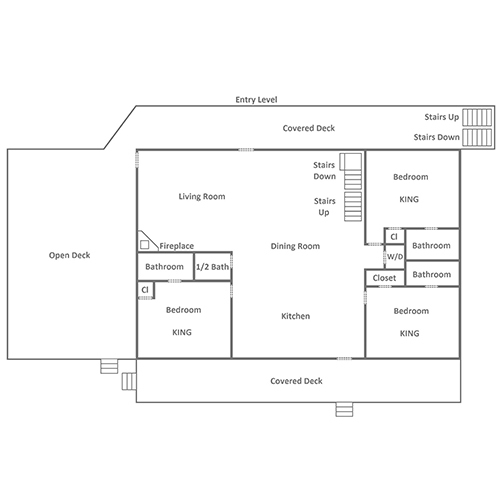 Inside and out, this spacious, newly built lodge will be a stunner!